From May 20th – May 21st, 2018, executives and entrepreneurs from the nation’s fastest growing restaurants and franchises met in Chicago to attend the Restaurant Revenue Growth Conference, a first of it’s kind summit created to facilitate discussion and provide actionable ideas on increasing top-line restaurant revenue. Focus topics for the event included attracting new customers, increasing average tickets, and encouraging repeat visits. Click here to learn more about this important first-time event and the speaker lineup. If you weren’t able to attend this ground-breaking event, below are key lessons shared by two of the event’s speakers Patrick Surgrue, President & CEO of Saladworks and Monica Ho, CMO of SoCi. Each tip offers actionable guidance that you can apply to your business to increase revenue this year. We’ve also included additional tips from experts and founders around the restaurant industry that can help you continue to drive even greater profits in 2018. Increasing restaurant revenue growth is an ongoing strategic initiative at Saladworks as I’m sure it is in every restaurant chain in the country. In addition to effective national and local marketing, we’ve instituted a program called “Best In Case.” This program, using a play on words that references our salad “case,” focuses on specific areas of sales growth opportunity in each of our restaurants. For example, the Saladworks who sells the most soup as an add on to a salad purchase has a 28.7% soup incidence. We have taken that metric and used it as a goal for the rest of the system. Stores are provided with best practices like adding more soup variety and crew incentives as part of their business planning process and then marketing endeavors are planning around bringing the rest of the system to the “Best in Case” level. Looking at each piece of the Saladworks business and putting programs in place that effectively market and increase sales is a tactic that has helped us achieve same store sales growth. – Patrick Sugrue, President & CEO of Saladworks. Did you know that 9 out of 10 consumers now trust online reviews as much as personal recommendations and that as much as 80% of purchase decisions are now influenced by this information? Even scarier – recent studies have shown that just one bad review and you could be losing as much as 20% of your business. As an industry largely dependent on consumer convenience and service – restaurant establishments can not ignore the major influence these digital reviews now play in driving business / butts in seats. However, It’s not just traditional reviews you need to pay attention to. More and more these reviews are happening in the form of social conversations on sites such as Facebook, Twitter and Google. In fact, Google and Facebook now dominate over pure play review sites such as Yelp and TripAdvisor. So if you want to get your digital reputation right, watch your stars on these major sites – but more importantly start listening in to the digital conversations happening about your brand. 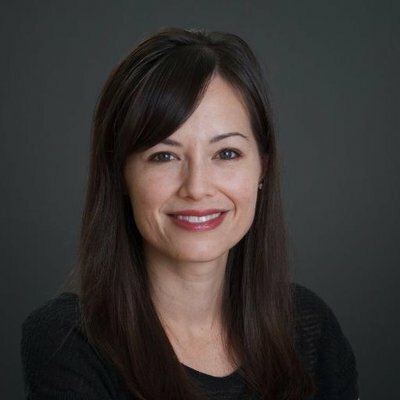 – Monica Ho, CMO of SOCi. Our strategy for sustained revenue growth is to focus like a laser beam on fundamentals, avoid distractions (shiny new stuff) and make certain your guests leave happier than they arrive. That’s how good brands become great!. – J. 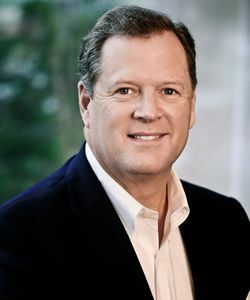 Dean Loring, President & CEO of Burger Lounge Restaurants. Probably the single, most successful tactic we use at Dat Dog to drive revenue and customer satisfaction, is active community engagement. While we represent a regional chain, the customer base for each of our Restaurants is representative of their local community. We make a concentrated effort to be known by everyone, be it through partnerships with the local college, university or high school, or through our volunteer and fundraising efforts in support of local no-kill shelters, organizations representing the arts and entertainment, or those providing essential services to at-risk youth. We empower our management teams to cultivate the Dat Dog culture throughout their respective communities, with the knowledge that the brand is what ultimately improves the lives of those individuals that we serve, be it our Crew, Customers, Business Partners, or those Communities in which we live, work and play. Ultimately, these efforts will drive financial performance for the company.” – Paul G. Tuennerman, Chief Executive Officer, Dat Dog Enterprises, L.L.C. Aim for a 40-minute table turnover time. According to Upserve’s 2018 industry report, a 40-minute table turnover time may help increase total revenue and tips. Servers can expect the highest tip from diners at this point, as the average starts tapering off the longer they stay at the table. Upserve data reveal that while “campers” are responsible for bigger overall checks and tips, they’re not always worth the wait. While the average check size grew regularly for every ten minutes at the table, topping out between 40-60 minutes, it began to flatten out afterwards. Additional large spikes occurred at 80 minutes and 100 minutes, but the actual revenue for each minute at the table began to decline. Restaurants should plan to check in with their guests around the 40-minute mark to increase productivity with the staff and bring in new higher paying customers. – Meghan Kavanaugh, Marketing Manager at UpServe. When we first launched in 2009, catering was a small part of our vendors’ business, but it quickly became the backbone of their success. With less risks and guaranteed rewards, it’s been a win/win for both them and the client. Guest counts are capped and profits are already calculated, so there’s no wasted overhead. You can staff and prep accordingly, which cuts down on running costs, along with stress. By reducing guesswork, the food itself becomes a sure bet, and can swiftly perpetuate success – all it takes is wowing one guest planning another event. Vendors interested in access to the largest resource of regular catering gigs in the country for free can get started by signing up at http://vendor.roaminghunger.com/. – Kat Rotramel, Director, Business & Product Operations at Roaming Hunger. 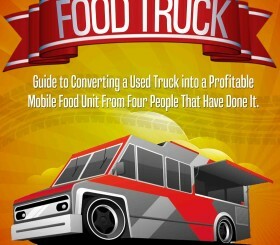 The most important thing to a restaurant or food truck’s success is: Customer Lifetime Value. So that means the amount the customer spends over the lifetime of the relationship. Many business owners get caught into the trap of constantly seeking new customers, when selling to existing happy customers is much more sustainable. Of course getting brand new customers that have never heard of you is important, but after their first visit, do everything possible to keep that customer base happy. Just one happy customer could pay you and refer friends for years to come! – Jeremy Adams, Founding Partner and Creator of Opportunities at Prestige Food Trucks. Inspiring repeat business can often be a monumental task, particularly when surrounded by fierce competition. The path to success lies in providing high value to your customers, and this holds true across any industry, but particularly for restaurants. Refining your menu is of paramount importance, followed by being discoverable on the web (It’s free to add your place of business to sites like Yelp and to create your own Google listing!). After these things are done, you can implement a way to manage and reward your customers! There are a range of useful apps at your disposal that will allow you to create a range of loyalty programs, offers, punch cards and gift cards, all to encourage your customers to keep coming back, again and again! Cordy Bartlett is the Marketing Executive at Tillpoint, the cloud-based MBMA that enables retailers, bars and restaurants to control and run all facets of business operation, with access to powerful data intelligence. An innovative way for restaurants to increase revenue is to think of their TVs as revenue-generating assets, not as ignored screens that come with a hefty cable bill. These days customers walk into restaurants and instantly bury their heads in their phones. Why not give them a reason to look up and be engaged? UPshow’s Social TV Platform does just that. From a customer’s 15 seconds of fame to the restaurant’s digital signage-driven upselling to a robust library of social media-powered TV feeds, UPshow gives the restaurant total control. – Matt Gibbs, CMO of UPshow. Your customers have become used to receiving personalized experiences when shopping online from the use of retailers like Amazon and when using portals like Netflix. They expect the same when ordering their food, both in the premises and while ordering online. For returning customers the individual customer’s order history can be used – see what is usually purchased by your customer and offer them what they want straight away. For new customers the menu item level statistics should be used – see which menu items are usually sold together to make accurate upsell recommendations and speed up the customer’s buying process. While self-ordering is not a good fit for a FSR, the self-serve concept works well in QSRs, fast casual restaurants, or other venues set up with line service like food trucks, coffee shops or cafeterias. With a well-designed self-ordering kiosk, placing an order is easy. And since customers are guided through tempting photos of items they may want to add to their burger, or maybe an extra coffee flavor shot or dessert, kiosks have been shown to increase the average ticket size. Another reason self-ordering kiosks may be a good choice for a QSR – the shrinking teenage work force that historically has filled a large percent of QSR food preparation and service jobs. According to the US Bureau of Labor Statistics, teenage participation in the labor force has shown a marked decrease in the last two decades, down almost 20%, and another 10% drop is projected by 2024. Self-ordering kiosks can help fill this gap of a shrinking workforce. Besides, a kiosk never calls in sick or asks for a raise. – Alex Barrotti, TouchBistro CEO & Founder of Touch Bistro. Did you attend the Restaurant Revenue Growth Conference for 2018? If so, let us know your biggest takeaway from the event in the comments section below.